The client is a well-known name in the finest industrial instruments distribution market. Based out of Irvine, California, USA, the client specializes in custom as well as integrated assemblies for Original Equipment Manufacturer (OEM). With a focus on precision, accuracy, and reliability, combined with years of expertise, the client partners with the top manufacturers to ensure the right product is available at the right price. With about a decade and a half industry experience, the client has one of the world's fastest ducting solution distributions to their name. Along with distribution of industrial products, the client also provides consultation and assistance for Mechanical Electrical & Plumbing (MEP) related projects and products to match the requirement. The client was working on a specific building project with 150,000 sq. ft. living space of a 3-storeyed building. For this project, they needed MEP service support to design the electrical and plumbing layouts to avoid clash with other services. The project involved conversion of Electrical SLD to AutoCAD layouts. The challenges in the project involved lack of enough information and unclear instructions which made it difficult to carry out the task. After the initial discussion, the client provided with three specific templates and other set of instructions to help us design the layouts with precision. Another major challenge was that there were 26 drawings, which ideally needed 320 hours. But these were expected to be completed in just 120 hours. So, a scale up was required in the team. Outsource2india boasts of a skilled team of mechanical engineers and drafters who are keen to take up challenging projects. For this assignment, we employed a team of three mechanical engineers with MEP-specific experience to carry out the design work. The client provided Single Line Diagrams (SLD) and hand sketches with architectural layouts/drawings. These had to be converted into AutoCAD files with precise electrical designing. The team was headed by a team lead and a project manager to ensure the project met quality standards and matched specific instructions provided by the client. There were three different templates involved in this project and three different sets of drawings were created with a specific template. Initially, without these templates, the work took extra time, but the client was happy with the first delivery. This created a promising partnership with the client and the team is looking forward to working with them. The project files were transferred using secured Dropbox to ensure data privacy. 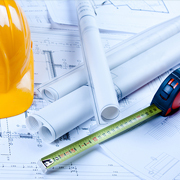 We are a dedicated team of mechanical engineers and drafters with over two decades of experience in helping construction projects along with our vast experience in other industries including automotive, aviation, healthcare, heavy machinery, natural resources, etc. With our topnotch AutoCAD drafting services, we have successfully served to Fortune 1000 clients. Outsource2india follows ISO quality check processes to minimize errors and provide reliable and economical MEP support services to our clients. Outsource2india is a global outsourcing firm offering a gamut of mechanical engineering services to clients around the world including AutoCAD conversion and MEP services. Our AutoCAD conversion services ensure efficient conversion of Electrical SLD and other formats to AutoCAD. We also provide mechanical CAD drafting, tooling and fixture design, piping design and drafting, etc. Being in the industry for over 20 years now, we are equipped to thoroughly understand specific client requirements and serve them accordingly. Get in touch with us today to learn how we can help you out with your MEP projects.